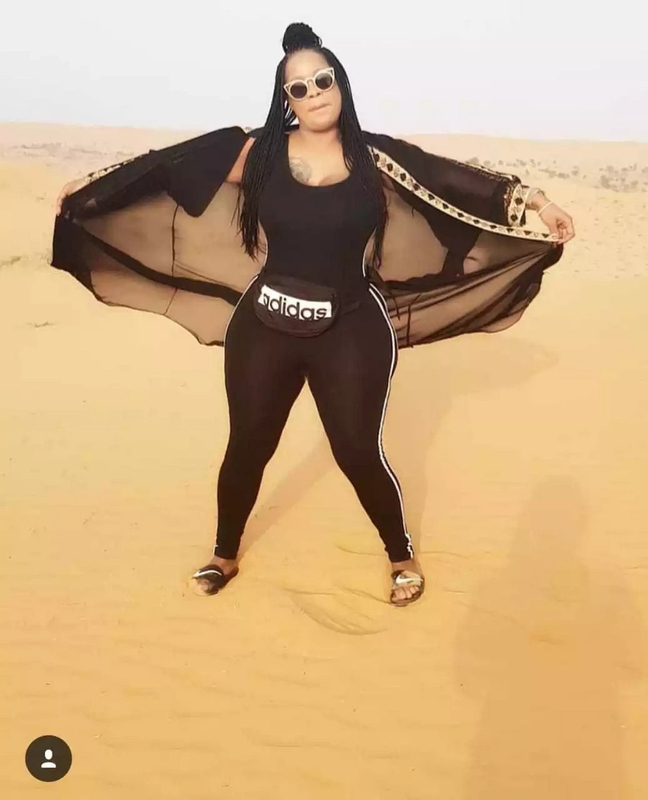 Voluptuous socialite Bridget Achieng broke the mantle by buying her lover Bobo, designer shoes worth a gob-smacking KSh 80,000. For some Kenyans that is easily rent money for a couple of months but for Bridget it was just another way of showering her Bobo with love expressed through over-the-top designer shoes. 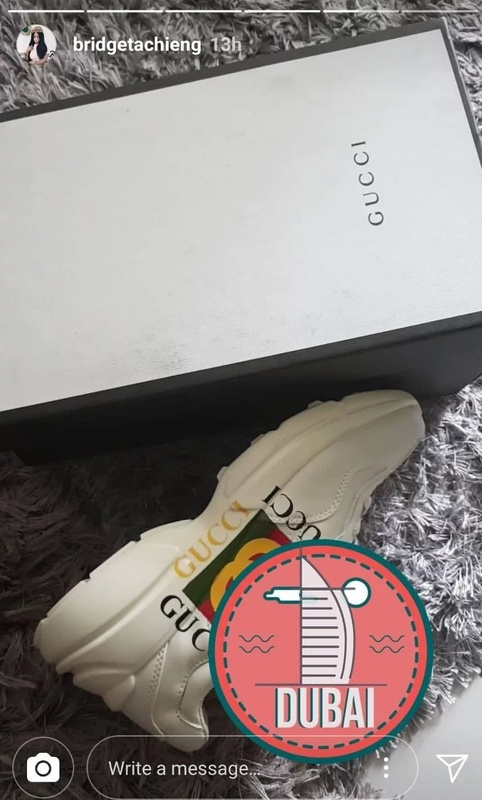 The signature Gucci shoes are a trademark on the red-carpet with stars and celebrities of high status in the likes of Davido and Wizkid rocking them. 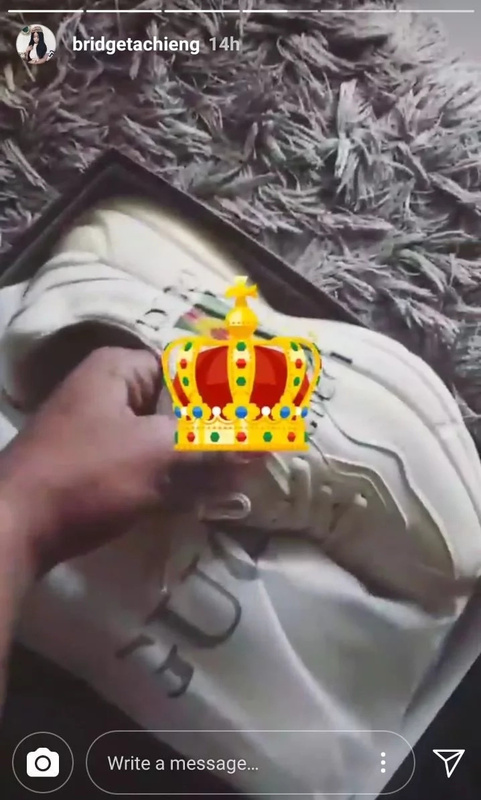 In the video Birdget is seen carefully unwrapping the expensive shoes, and proving to all haters she’s still papered and rolling in cash. Rumours around town had it the reality star was notorious for wearing fake designer shoes and clothes. Bobo, whom the reality star claimed to be the son of a high profile Ghanian government official must be excited beyond his wits at his new gift. Kudos to her on showering her man so lavishly with top range sneakers.